Please pin from HERE… the pin feature is broken. 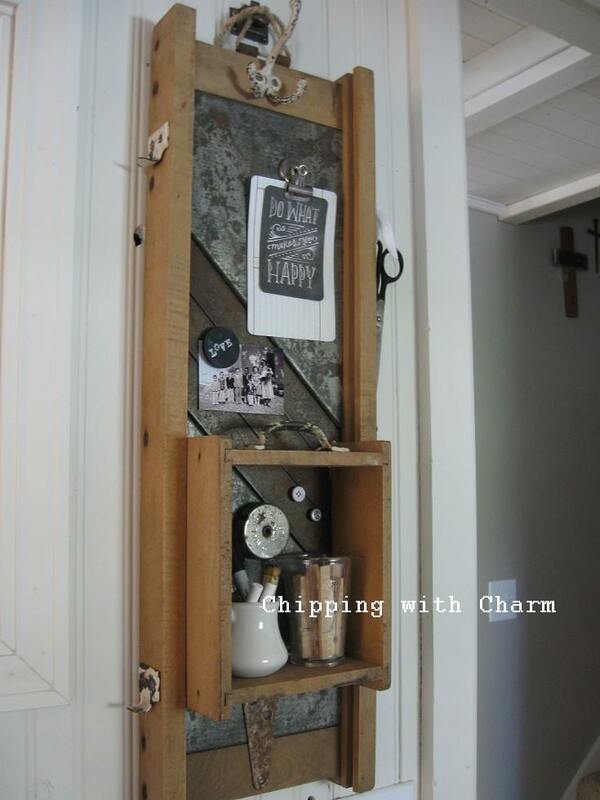 No need for a standard schmandard kitchen cabinets when you can junk it up… in a non permanent way! 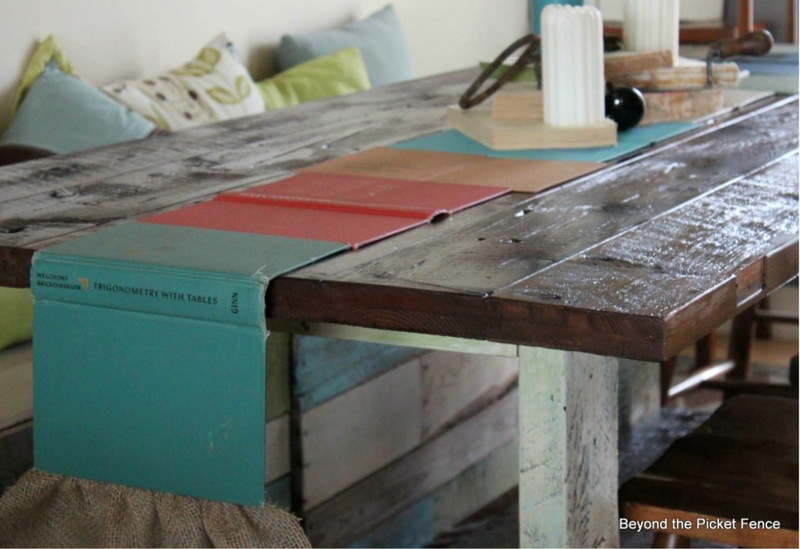 What a fun way to revive otherwise forgotten books! 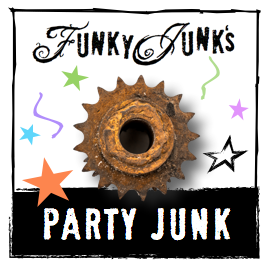 Don’t know what to do with your junk? 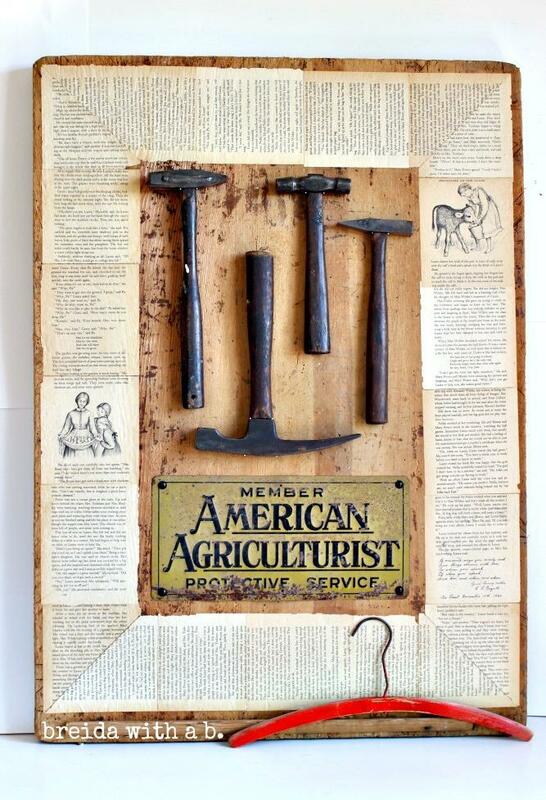 Frame it with a junk frame! I’d rather memo board than kraut cut any day! What a fabulous looking piece! Well, shut the barn door! This cheater build is an awesome idea. 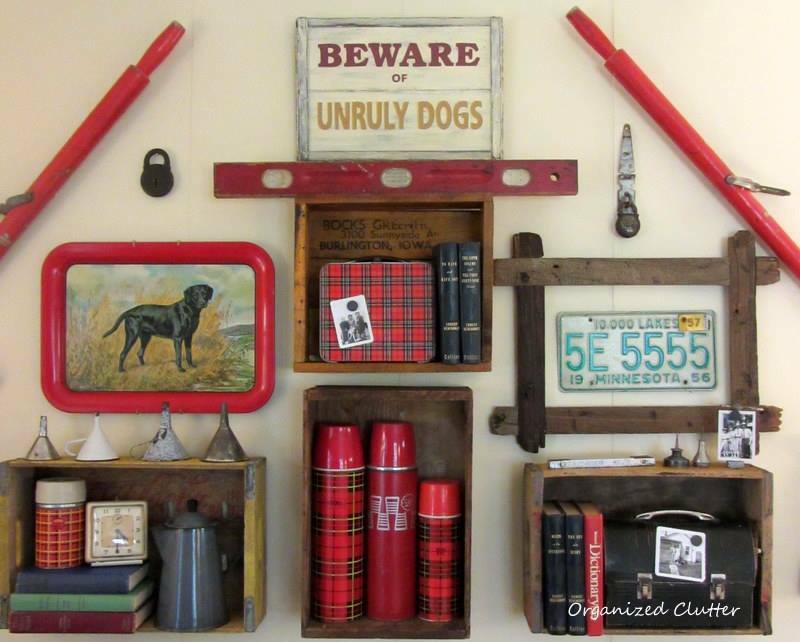 The sign of a true junker is hanging your junk as your artwork. Don’t you love the paid? 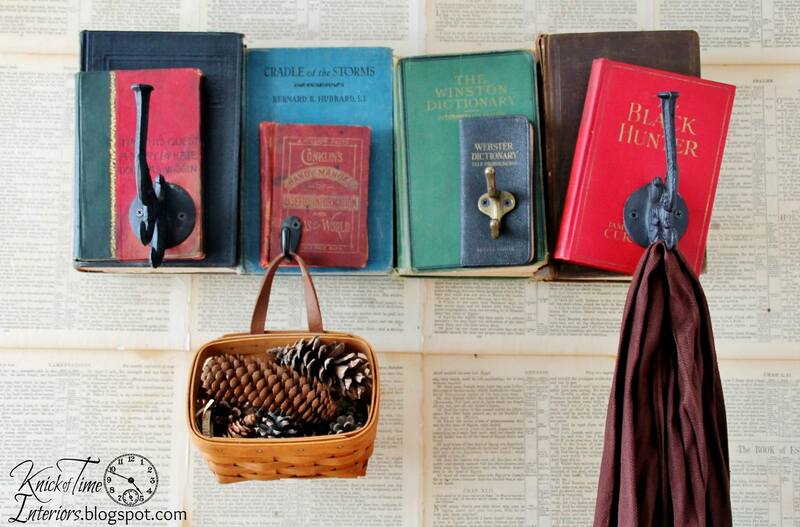 No need for boring nails or screws when you can use random junk to hang your wreaths. As if that wasn’t enough, the Junkers United team have also created a pin board that features some of the best junk on the net! Wanna chance to be pinned into the board? 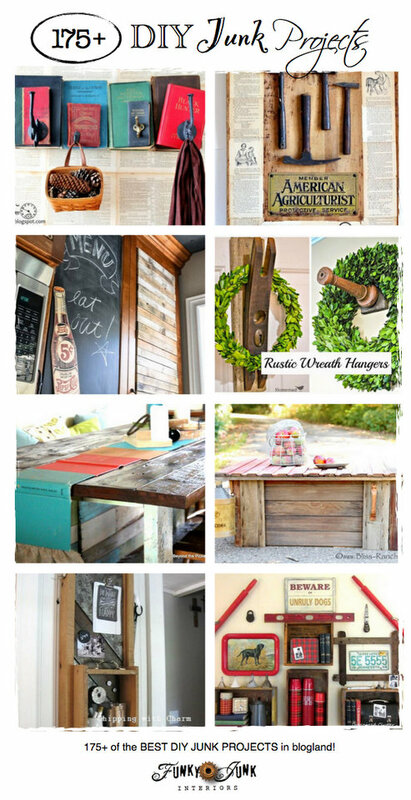 Link up your own DIY salvaged junk projects and we’ll pin our favs to the pin board! What a great party! Thank you for hosting! I love all the junk you create! Thanks for hosting and letting me link up a bit of Fall on the porch. I think this week may be one of my favorite weeks. I am such a sucker for things that you can hang other things on. I saw Angie’s book hook this week and flipped for that one. 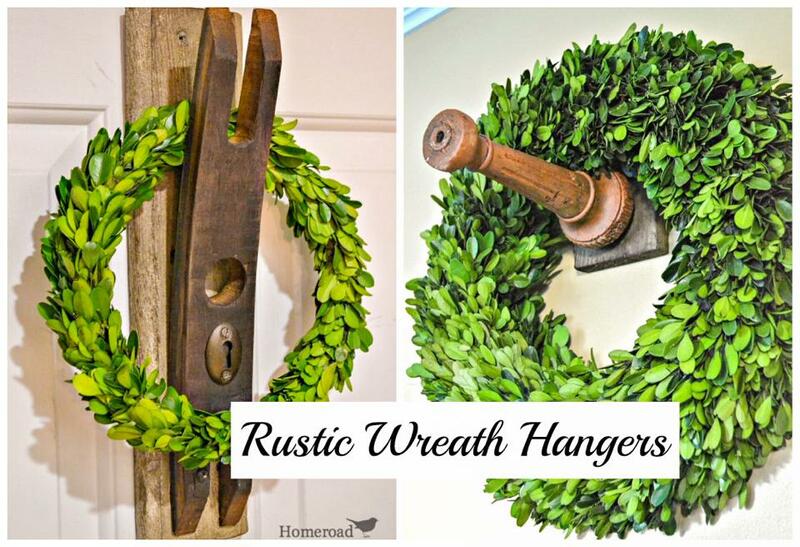 I have a new favorite, the junk wreath hanger! 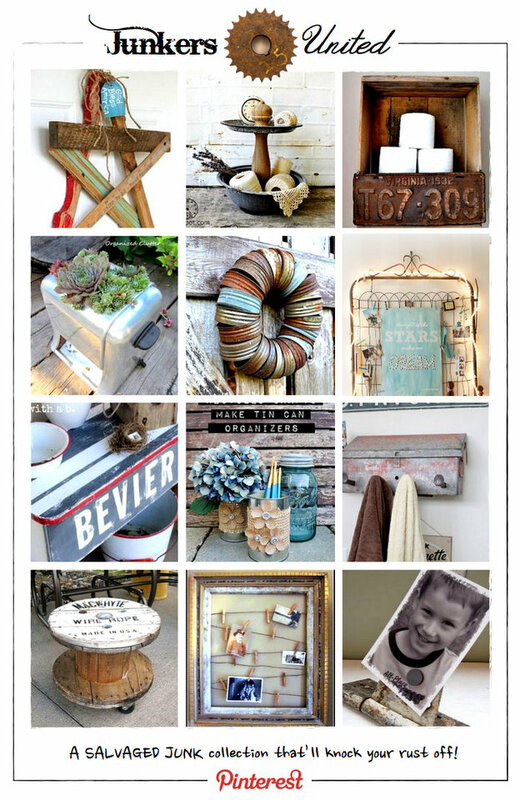 Makes me wish I hadn’t thrown out some of the junk I actually did! Reemerging from a cave of work to enter the blogging world outside of my own! Feels good! Hi Donna, it has been the best fall week. Foggy mornings and sunny afternoons. Thanks for hosting, always look forward to joining in. Have a great week. Such awesome projects this week! I love Angie’s book rack…I’m going to have to implement that somewhere because a book lover I am! 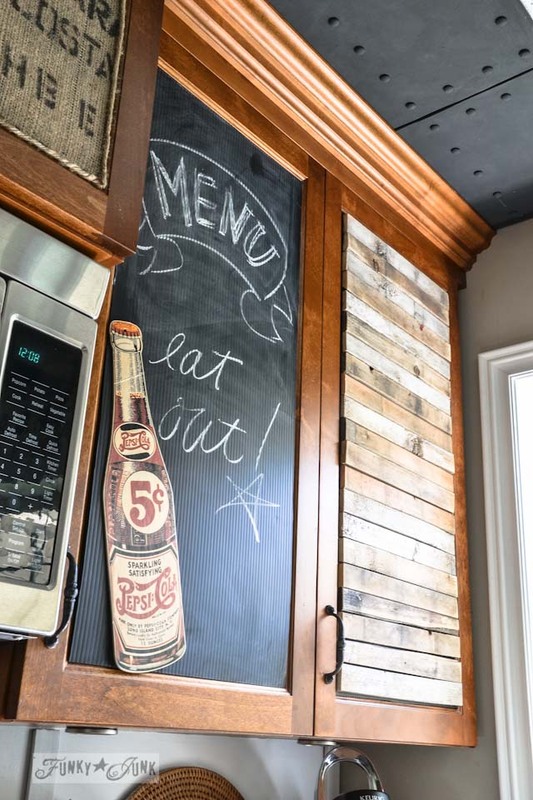 Love what you did with you cabinets!! Thanks for hosting another wonderful link party Donna! Thank you for the party, Donna! Sure appreciate the work you do hosting Donna. Look forward to joining in. Have a great autumn weekend. one and i was just wondering if yoou get a lot of spamm remarks? Donna, love your cabinets. Thanks for hosting another fun party! I just want to start by saying that I Loooooove all of your ideas and I think your pretty fabulous 🙂 and then i want to ask your opinion on something? i have the inside of my grandma’s old washing machine,(its the thing that turns and washes the clothes) and i would really like a unique idea on a way to incorporate it in my bathroom maybe? maybe a chandelier or something and I wanted to see if you had any ideas for me? Please and Thank You !! How fun! A visual would really help to brainstorm ideas. 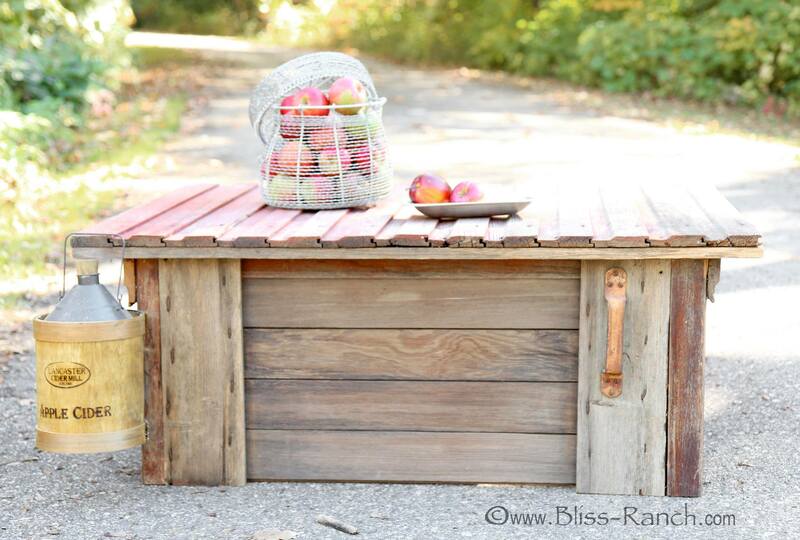 Or you are welcome to post on my Facebook page anytime inviting requests!